Last week, senior Trump administration officials very publicly sought to quantify the threat of terrorist border infiltration by trotting out some numbers. The effort deservedly — and so unnecessarily — fell flat on its face, arming skeptics and Trump haters, as well as leaving the public questioning what I regard as a quite real threat supported by obtainable data. What follows is some clarification on bad data and suggestions to the administration for how to get good data, which is there for the taking if someone would just ask for it. Take this from a guy who not long ago was immersed in these very numbers as an intelligence practitioner and who, as a result seeing and reading the reports, believes the threat of terrorist infiltration is actually significant and rising right now. The Center for Immigration Studies has repeatedly provided my supporting research about the terrorist infiltration threat issue, which the administration (and news media) might do well to read. (And here, here, here, here, here, here, here, here, and here, too). My number-one fealty is to facts and solid analysis of them in the service of informing better homeland security and better counterterrorism, no matter whose ox gets gored on either side of the partisan divide. There’s still a chance for the Trump administration to get this one right. The Claim of 3,000 to 4,000 Apprehensions of Terrorist Suspects Is Misleading and Incorrect. This all started on January 4, when DHS Secretary Kirstjen Nielsen reportedly suggested to congressional leaders at a conference, as administration officials pressed justifications for a land border wall, that homeland security authorities had encountered more than 3,000 suspected terrorists along the U.S.-Mexico border over the past year or so. No reporters were in that meeting, so no telling what the exact words were, which matters. Amid vigorous and pointed challenges to the reported claim, administration officials then publicly pressed different kinds of numbers in the same ballpark and different kinds of verbiage that didn’t always tie the numbers to the land border and left open the prospect that they were from airports, too. Here, she brings to the table an altogether different problem-set from whatever she was referencing the day before. As I have written, special interest aliens are mostly not terrorists; however terrorist suspects have traveled among them on the smuggling routes through Latin America. She needed to have broken out the terrorist suspects from that 3,000, which again, is something I believe is an entirely different category from the 3,000 she spoke about at the conference with members of Congress. What a complete conflation-ridden public-messaging mess. This all needs to be straightened out, at least for our readers, because, while this mess spreads and sows confusion, actual terror suspects from countries of terrorism concern are getting caught at the southern border and en route, as I have so frequently documented. Hint: The land border numbers are far lower than 3,775 in a year, as I’ll show below. But in this threat realm, small numbers portend major consequences. Just ask German Chancellor Angela Merkel, as she heads for the exit over just a relative few migrants who committed terror attacks in her country after entering among the million migrants she admitted. Why I Know the Administration Is Wrong. 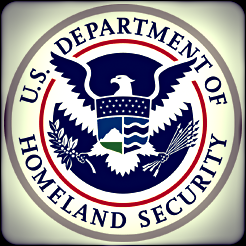 For nine years, I served as a counterterrorism intelligence manager in the border state of Texas, for the Texas Department of Public Safety’s Intelligence and Counterterrorism Division. It was my job to know how many terrorist suspects crossed that border every year. My analysts and I would piece together these numbers partly from publicly undisclosable data provided to us by the FBI’s Terrorist Screening Center and by often-classified intelligence community reports related to special interest alien travel. I would use these terrorist border encounter numbers to brief DPS brass and also cite them in intelligence assessments of the terror infiltration threat at the southern border, to serve our DPS troops who had been deployed there in force for many years. A sense of the real number range can be found in this CIS Backgrounder, which cited a reliable intelligence community source telling me that “more than 100” migrants on terrorist watch lists were encountered between 2012 and 2017 at the U.S. southern border or en route to it. If you break that down, the number of suspected terrorist travelers reaching the border was about 20 a year, give or take. Those comparatively lower numbers still pose an outsized problem with simply unpalatable national consequences if one considers that 19 hijackers carried out the 9/11 attacks, and that lone offenders who reached Europe during the 2014-2017 migrant crisis created vast mayhem that completely reconfigured the continent’s political order in three short years. I can also say definitively that numbers like these — and supporting intelligence reports for each and every one of them — are collected and readily available to administration officials. Let me explain why I know how easy this would be and, while I’m at it, also why else I know that the 3,000-plus number of land border crossers trotted out by administration officials is so obviously wrong. Counting how many terrorist suspects were arriving at the U.S.-Mexico border, or were encountered en route through Latin America toward DPS troopers at the border, was always a challenge for me and my staff. That’s because terrorists don’t show up at the border already convicted of federal terrorism charges or otherwise definitively and indisputably identified as terrorists. U.S.-bound travelers get counted as suspected terrorists almost always because what we would call “derogatory intelligence” somehow got attached to their names at some point prior to their travel plans or encounters with American authorities. Migrants get derogatory intelligence because one of our agencies, like the FBI, the CIA, the military’s DIA, or a foreign nation’s services, at some point, (maybe in a military raid on an Afghan compound), got some information connecting the person to terrorist activities or known terrorists. People with such derogatory intelligence on their records would have been placed on U.S. terror watch lists or in other intelligence reports. These feed into massive checkable intelligence community data storehouses waiting for analysts and investigators to look at for the future day when those persons show again on anyone’s radar. People with derogatory terrorism-related intelligence show up on radars again when law enforcement encounters them at the U.S. land borders, or en route through Latin America. But don’t forget: International airports are borders too. Travelers with derogatory terrorism reporting on them also flag when they buy airline tickets and get on an airline passenger list, embark or disembark from airplanes, or apply for various kinds of visas at U.S embassies while still abroad. From my government experience, I know that the vast majority of on-radar suspected terrorists are encountered at airports, not at sea, land, or by cops on American roadways. The. Vast. Majority. So when Nielsen and other administration officials said 3,000-plus suspected terrorists had been apprehended or prevented from generally entering U.S. borders, I knew her numbers had to have been in reference to airport borders staffed by U.S. Customs and Border Protection inspectors or maybe at American embassies and consulate offices abroad, which process visas for U.S. airport-bound travelers. Later, she switched to talking about the separate issue of special interest alien apprehensions at the southern land border, which unfortunately also is about 3,000, so everything got conflated and muddled up. But I also knew that the number of land border encounters with special interest aliens who also had terrorism reporting records about them was always small, even if highly potentially consequential. Go to the FBI’s Terrorist Screening Center (TSC) and ask for the number of encounters with non-resident, first-time entrants encountered and apprehended along the U.S.-Mexico border for whatever period desired. Make sure to tell the analysts that you do not want them to include U.S. watch-listed citizens who enter Mexico and return for shopping or work, as these do not represent migrants and multiple crossings can be misleadingly attributed to a single individual. Go to the National Counterterrorism Center (NCTC) and ask for their collections of intelligence reporting about terror-watch-listed migrants (or other migrants with terrorism-related derogatory reporting about them) who were apprehended at the U.S. land border, but also who were encountered in foreign countries en route to the U.S. land border. Make sure to reconcile the NCTC data with the TSC data to derive a range because sometimes the NCTC might count an incident that the TSC did not count, and visa versa. Whenever again you present a total number of terrorism suspects as having reached, or as having been prevented from reaching, a U.S. border of some sort, be sure to break down those numbers by the type of border: land, air, sea, foreign consulate office, whatever. Because if you are talking about a land border wall, then it makes no sense to cite airport data in your justification. Lastly, the administration and its responding media fact-checkers should read the research-based reports about all of this stored on the Center for Immigration Studies website.